Elaine Raccio, BC-HIS is a CT Licensed Hearing Instrument Specialist and is Board Certified in Hearing Instrument Sciences. She is located on the 1st foor, suite 101 of our Danbury Office. She also see patients in our Prospect, CT office. Elaine has dispensed hearing aids from every major manufacturer and is known for her in-depth knowledge and expertise in advanced digital hearing instrument electronics. “It is important to me to educate our patients about the consequences of untreated hearing loss and to reconnect them with their loved ones through clear speech understanding with the use of hearing aids along with providing superior hearing healthcare service,” says Elaine. A study by Johns Hopkins finds hearing loss triples the risk of falling for middle-aged adults and the elderly. Nearly two thirds of Americans between the ages of 65 and 74 and one-half of those aged 85 and older have some degree of hearing loss. 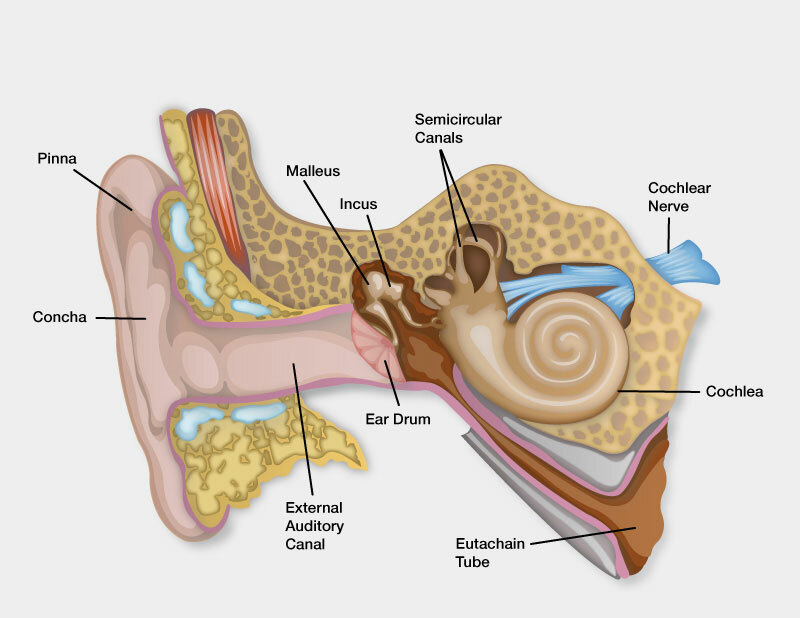 Hearing loss left untreated can lead to serious problems. A recent study at John’s Hopkins and the National Institute on Aging finds that men and women with hearing loss are much more likely to develop dementia and Alzheimer's disease. 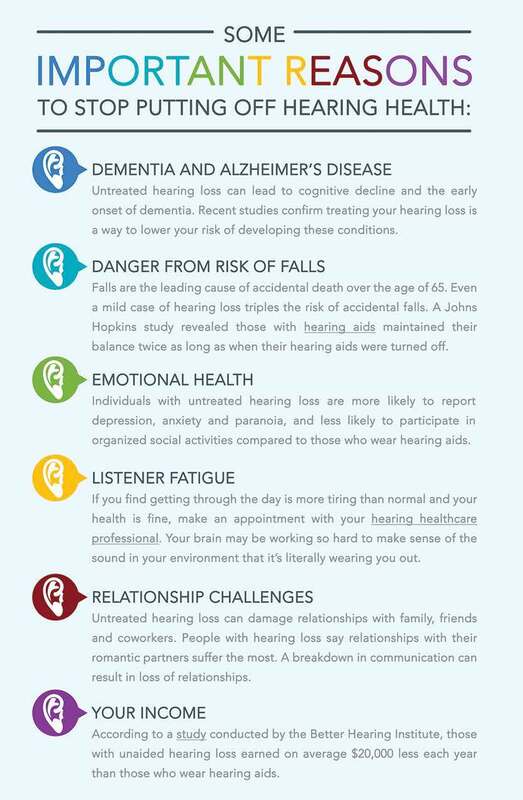 People with severe loss were five times more likely to develop dementia than those with normal hearing. Even mild hearing loss doubled the dementia risk factor. That risk, according to Dr. Lin who coauthored the study, appeared to increase once hearing loss began to interfere with the ability to communicate, for example, in a noisy restaurant. For years, Danbury Eye has provided comprehensive, state of the art vision and eye care services to the community. Our commitment to quality patient care has led us to expand our services to another important sense in your life-hearing. Vision and hearing are our two most important senses and they function inseparably together. Unfortunately, they both tend to fail at the same stage in life. We now routinely evaluate both. Our licensed Doctor of Audiology provides comprehensive diagnostic hearing testing and has the ability to diagnose and treat 90% of all hearing loss cases. Having both your vision and hearing cared for by the practice you already know and trust is clearly the right choice. Competitively priced hearing aids with financing available through Wells Fargo. We can walk you through the application process in the office or you may apply online by clicking here. Over 80% of those with hearing loss are undiagnosed and untreated. Untreated hearing loss has a profoundly negative impact on a patient's quality of life. "Elaine Raccio helped me enjoy life fully. Her expertise enabled me to finally hear all that I was missing. She always explained in detail all questions to our satisfaction. Elaine gave us choices to fit my needs. She scheduled many appointments until I felt very comfortable using my hearing aids. I have recommended her to several of my friends." To schedule your complimentary hearing evaluation with a Hearing Specialist, please call 203-791-2020 x255. If you have any questions about our hearing services please complete the form above and a member of our team will contact you shortly.